Back by popular demand: BALIF's second LGBT Ladies Salon & Talk-Show! 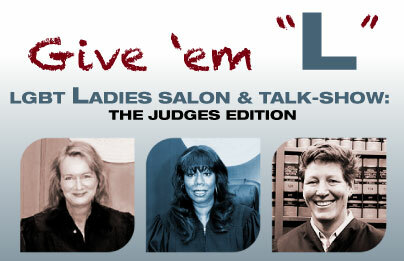 You do not want to miss this -- here come the judges! Join us for a spectacular evening with trailblazing judges sharing their experiences and perspectives from the bench, and touching upon issues concerning women, LGBT, and women of color in the legal profession and judiciary. This fun and informative talk-show styled discussion will be followed by a networking reception to mingle with fellow LGBT attorneys and law students. Register early as space is limited!